Miami Breakfast caterer makes you look like the Hero! A corporate breakfast you can count on for flavor, presentation and on time reliability. Everyone says that breakfast is the most important meal of the day and we agree for multiple reasons. 1. Do you have clients coming to the office for breakfast and a sales presentation? 2. Are you’re having an important morning staff meeting and you want to provide breakfast? 3. Do you just want to show your team you care by giving them a continental breakfast or a hot and tasty breakfast with freshly brewed coffee? Whatever the occasion, call the caterer who has been serving South Florida’s most discerning pallets since 2003. 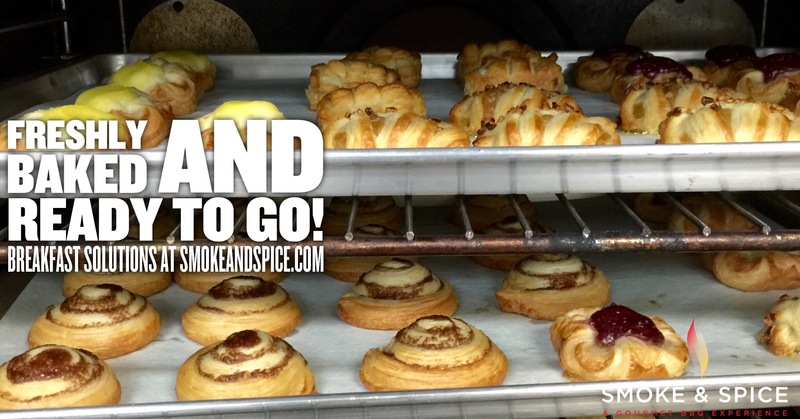 Smoke & Spice has a breakfast package to suit you need, just call 305-248-4535 or go online. Start your morning stress-free with reliable punctual breakfast caterer. 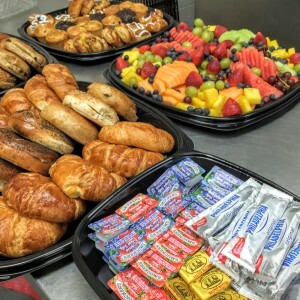 When you call, ask about our signature continental breakfast and morning necessities like gourmet coffee, delicious orange juice, and seasonal fruit, our continental breakfast includes innovative pastries that are baked daily in our own kitchen! Whether you’re in Homestead, Miami, Pinecrest, Kendall, Cutler bay or any of the cities in Miami-Dade just remember, you will look like the Hero when you call Smoke & Spice.